As consumers have drastically shifted their buying pattern and criteria demanding more and more value, accurate service and comfort level – retailers must strongly adapt the innovative ways they offer services to meet these ever-changing consumer needs. Competitiveness strongly increments the financial performance of retailers further building both their strategic and tactical decision making. 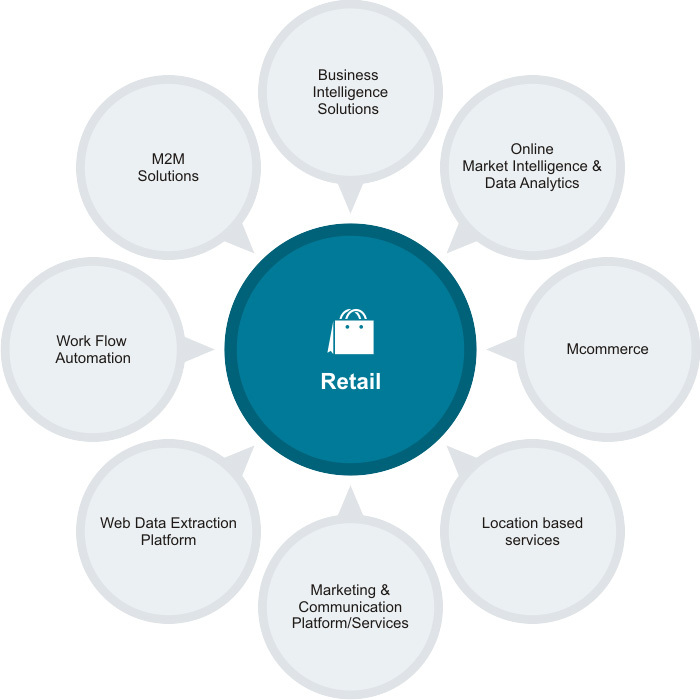 We recognize challenges and focus on Retail Industry solutions. Visit TeleOSS Solutions for M2M, Communication, Work Flow Automation, Location based services & Mcommerse Solutions.